Scenario A: You are the coach at Arkansas Little-Rock University. You’ve just been offered the same position at UNLV, a school that would be willing to pay more than double your current salary. You decide to stay in Vegas for at least one full year, hoping to attain success and land your dream job with a bigger, more prestigious school. Scenario B: Scenario B is the same as Scenario A, except that your dream job, the opportunity to coach at Texas Tech, opens up three weeks later and you jump at the chance. Scenario B came to fruition last week for Chris Beard. After just one season in Little Rock, he accepted the newly-vacated job at Texas Tech after Tubby Smith left Lubbock for Memphis’ vacancy. On the surface, the move would seem unethical: why would a coach defy his commitment to a team and its players in order to flee both for greener pastures less than a month later? Should we redirect our outrage from Beard to the NCAA’s flawed system that allowed him to leave in the first place? Both questions have answers, but one is much clearer than the other. As for the first question: Beard left UNLV for Texas Tech because he clearly valued the latter job more than the former. That happens all the time in the real world, regardless of tenure. It’s called the free market, and it allows you to take the job you feel is the best for you, your family, and your reputation. Cool, right? But the second question raises a much bigger, more complicated problem. How can the NCAA set up a system that allows players and coaches to capitalize on the free market? Is that possible? Would the NCAA even enact any legislation to benefit its players? As you can tell, I have no issue with what Chris Beard did. If you were in his position, you would probably do the exact same thing. 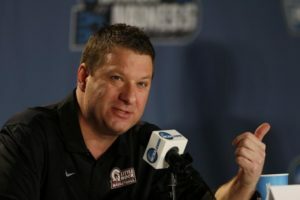 You’re getting the chance to prove yourself as a big-time coach in college basketball after just one season in Division I. If you wouldn’t do the same thing, you either love UNLV or are frightened at the prospect of being a young head coach at a major-conference school. If that prospect scares you, there’s no way you would have been a Division I head coach in the first place. But here’s the problem: many players would like the opportunity to do the same thing. Frankly, it’s hard to blame them. Last month, Michigan players Spike Albrecht (a fifth-year graduate student) and Ricky Doyle (a sophomore) expressed their desire to transfer out of the school and play elsewhere. Albrecht will have graduated by the time next season comes; therefore, at least he can transfer and play right away for whichever school he wants, right? Not completely. As the transfer rules of the Big Ten state, a player who transfers from one Big ten school to another will be subject to sitting out a full year. Also, a head coach is allowed to restrict a player from transferring to certain schools; Michigan coach John Beilein wanted to prevent Albrecht and Doyle from leaving for schools that the Wolverines would play in their conference schedule. Because Beilein did not want to face either of his former players twice next year, he blocked both Albrecht and Doyle from transferring to Big Ten schools. However, after a public backlash in support of the two players and against Beilein, the transfer restrictions on both student-athletes were lifted. It was the definition of a backfire directly in the face of the Michigan coach. The sad part? This isn’t the first time that a coach has blocked a player from transferring to certain schools. In 2012, Jarrod Uthoff was looking to leave Wisconsin after not seeing playing time in his freshman season. He asked for a release from the program in April of that year; then-head coach Bo Ryan’s response to this request was to block him from enrolling at 26 different schools, including every single Big Ten institution. Ryan would later allow Uthoff to enroll at out-of-conference schools but kept his restriction on Big Ten schools. Uthoff would stay in the conference by enrolling at Iowa and paying his own way at the university for the 2012-13 academic year. If Ryan had not tried to brazenly protect his and his school’s own interests, Uthoff would have been subject to the NCAA’s undergraduate transfer rules. These restrictions force a player to sit out a full season before playing for his or her new school; the catch is that the player can receive an athletic scholarship after sitting out that season. Uthoff received that scholarship after sitting out the 2012-13 season, and the decision to leave Madison worked out for him. He became one of the best players in college basketball and even garnered Player of the Year attention for most of last year before a late-season drop-off. This is the main argument here: if coaches can move from destination to destination within the span of three weeks, why can’t some players jump ship after attending a university, in some cases, for four years? Also, why should players have to stay at a university after the coach they signed on to play for leaves for a better job? And why should players be subject to sitting out a full season when they are not being compensated for their services, services that have earned the NCAA nearly $1 billion in revenue in years past? There aren’t valid answers to these questions that still allow the NCAA to keep its amateurism model. The only way coaches should be allowed to bar transfers from attending certain schools is if the players are compensated. That way, they can co-sign to a legitimate agreement that allows their superiors to refuse their transfer aspirations. Without such agreement and compensation, what legitimate right do coaches and athletic directors have to dictate where their players go after they’re done with their former university? And why can’t college athletes capitalize on the same free market that Chris Beard and other coaches have used to their advantage? Because the NCAA won’t let them. We’ve made it; it’s time for the Final Four. All four of the one-seeds in the big dance made it to the Elite 8; only the North Carolina Tar Heels survived and advanced to play in Houston this weekend. The Orange of Syracuse are the lowest seeded team remaining (10) and got to the Final Four by way of a stunning comeback win over Virginia on Sunday; they trailed 54-39 with under ten minutes to play and rallied for a 68-62 win. Villanova and Oklahoma are both 2-seeds who essentially beat chalk on their way to Houston. With Elite 8 wins over Kansas and Oregon, respectively, both teams advanced and will play each other in the first game on Saturday. Before we get into the previews, let’s talk a little bit about the venue we’re playing in because it will play a role in the outcomes of the games. The stadium, then known as Reliant Stadium, served as host of the 2011 Final Four; ironically, this year’s semifinals will take place on the same date as that year’s (April 2). The four teams remaining at the end of that season (UConn, Kentucky, Butler, VCU) combined to shoot 36.2% on three-point attempts during the regular season. During Final Four weekend, though, the teams shot just 28.1% (36-128) from deep. The shooting woes were bookended by Butler’s 12-64 (19%!) performance from the field in the championship game, a 53-41 loss to the Huskies. The three games were arguably some of the worst in the history of the Final Four. That’s not all, though. The stadium also hosted the South Regional’s Sweet 16 and Elite 8 games last year. The last four teams in the region were Duke, Gonzaga, UCLA, and Utah, a quartet that combined to shoot 38.9% from downtown in the regular season. But, just like in 2011, the teams struggled from behind the line to the tune of a combined 23-86 in three games. I get it; shooting in a dome has always been harder than shooting in an arena. The rim is more difficult to locate at the outset (this sounds like a joke but basketball players who have shot in domes have said as much) and there are more people, A.K.A. more distractions, for a player’s eyes to wander to in the course of a jump shot. The arrangement is unfair; the NCAA sacrifices the Final Four’s quality of play in order to fit more people into the event. This is why every Final Four game should probably be in an arena rather than a dome, but don’t hold your breath waiting for this to happen. With all of this being said, here is a preview of Saturday’s national semifinals. Oklahoma and Villanova actually played each other in the regular season, with the Sooners winning a 78-55 blowout on December 7. The neutral site game was played at Pearl Harbor to commemorate the 74th anniversary of the start of the Pearl Harbor bombing and the beginning of World War II. While the game was played on a neutral site, Oklahoma and imminent Wooden Award Winner Buddy Hield had no issue finding their stroke from deep. The Sooners shot 14-26 from downtown; most significantly, Hield and Isaiah Cousins shot a combined 8-13 on threes in the blowout win. The Wildcats, on the other hand, struggled mightily from behind the arc to the tune of shooting 4-32 on such attempts. This is the main question with this game: is it more likely that a team shoots 14-26 or 4-32 from three? Based on the fact that we’re playing in NRG Stadium, I’d say the latter; the dome arrangement does favor one team over the other. While Nova attempted more threes in the regular season and threes account for a higher percentage of the Wildcats’ shots, the dome favors them because of their excellent defense, which has allowed just 63 points per game in the NCAA Tournament. In the regular season, do you know how many points the team allowed per game? 63. It’s serendipity, baby! Holding Oklahoma to 63 will be a difficult task if only because of the fast pace both teams espouse. The game will move up and down the floor very quickly and have a lot of excitement. The catch? There will be a lot of misses. You can blame NRG Stadium and the NCAA for that. However, with the dome on their side and their defense cracking down, I’ll take Ryan Arcidiacono, Kris Jenkins, and the Wildcats to pull the minor upset and advance to Monday night’s title game. That was the predominant thought when Syracuse got into the NCAA Tournament as a 10-seed, thus completely bypassing the Dayton play-in games reserved for the last four teams in the field. As for me, I agreed with those analysts: I would have put Monmouth in the dance over the Orange. However, Syracuse made it, and what has transpired since has validated their existence in the tournament. That being said, referring to their run as “Cinderella” would be a gross mischaracterization. After handily defeating Dayton 70-51 in their first-round game, the team destroyed 15-seed Middle Tennessee State and rallied against 11-seed Gonzaga. However, in the Elite 8, the Orange trailed Virginia 54-39 with under ten minutes remaining. What happened next may not have been a miracle, but it really felt like one; the team rallied with a 25-4 run and won the game to advance to this weekend’s Final Four. Syracuse is the underdog in this Final Four, but calling them a “cinderella” is misleading. And academic fraud jokes aside, they match up very well with the North Carolina Tar Heels. Carolina’s biggest weakness in the regular season was three-point shooting; the 2-3 Zone of the Orange is designed precisely to make the opponent shoot threes and keep the ball out of the paint. With shooting already being a difficult task, the Orange defense may be able to keep the ball out of the hands of Brice Johnson, Kennedy Meeks, and Isaiah Hicks. That being said, the Heels have turned their biggest weakness into a strength this March. After shooting 32% from deep in the regular season, the team has improved to 38% from behind in the arc in the NCAA Tournament; this resurgence has been led chiefly by senior Marcus Paige. I personally jinxed the team last week by saying they are the tournament’s most dangerous team; that’s obviously true now, considering that they are the only one-seed to make the Final Four. Let’s not forget another thing, too: Syracuse isn’t that much better at making shots, either. In fact, their shooting percentages are only slightly better than those of the Tar Heels. Syracuse will try to slow this one down, though, and win the game with their defense. And they just might pull it off. The 2-3 Zone is difficult for even the best teams to handle; North Carolina might be the best team in America and even they aren’t immune. It will be interesting to see if the team can get its big men the ball early in the game to spread out the zone; this is likely the biggest key to victory for both teams. And if North Carolina can do this, they should be able to win. If the swarming defense of the Orange is able to keep the Tar Heels far away from the basket, I don’t just believe they can win. I think they will. Either way, this game is probably the better of the two semifinal tilts and has the potential to be a thriller. But my bet is on the Heels to shoot just well enough to win and advance to Monday night’s championship game. Please let me know what I got right and wrong in the comments section! Those words were uttered by Nantz at the end of Connecticut’s win over Duke in the 1999 men’s basketball national championship game. Amazingly, they still apply today. On Saturday afternoon, the UConn women’s basketball team resumed its conquest of women’s college basketball with a 98-38 slaughter of Mississippi State for its 72nd consecutive win (the team beat Texas on Monday and extended its win streak to 73). Honestly, the game wasn’t even that close; the halftime score was 61-12. 61-12. The other 348 Division I women’s basketball programs. Notice just how much more parity there is in men’s college basketball. But why is there such a difference in the competitive balance of the men’s and women’s games? In reality, the problem with one team dominating the sport isn’t that team’s fault; if you don’t like it, beat them (good luck with that). As a fan, it’s nice if you want parity in the sport but you have to understand that parity can only be attained if many of the best teams in the sport have similar levels of talent. This parity was attained in men’s basketball this season because many of the best teams were similar and unable to distinguish themselves. 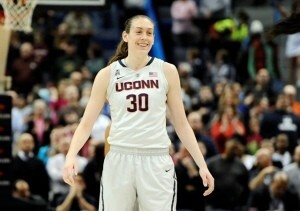 If you wanted to make the argument, though, that UConn is and has been on a different level because of Breanna Stewart, one of the best women’s basketball players ever, that would seem fair. But every school had a chance to sign her coming out of high school; few actually attempted to earn the right to her services. Such is the case with Moriah Jefferson and basically any other player on the team. There is a wealth of talent in Storrs and a dearth of talent everywhere else; 348 coaches can look in the mirror for an explanation why. The Scripps Howard Foundation Wire pulled 2013 data from 65 schools, all members of the Power Five conferences and Notre Dame, to conduct its research. Coaches of women’s teams average less than one fourth of men’s team head coaches’ salaries. Texas and Vanderbilt have the biggest discrepancy, but no school pays women’s team coaches more than men’s team coaches. No school in the entire country pays women’s coaches more than men’s coaches. Let that sink in and then consider the ridiculousness in that occurrence. For example, consider the University of Tennessee. The Volunteers had one of the best women’s coaches of all-time in Pat Summitt; Summitt stepped down after the 2011-12 season after being diagnosed with early-onset Alzheimer’s Disease. Summitt, a winner of eight national championships and coach of eighteen Final Four teams, was paid an annual base salary of $325,000, with the potential to earn around $1.5 million with incentives. On the other hand, Tennessee’s men’s basketball program hired Donnie Tyndall from Southern Mississippi in 2014. His six-year contract called for an annual salary of $1.6 million. The best part? Tyndall went 16-16 in his first year on the job. Better yet, he was fired after the season for financial aid violations he had committed in his time at Southern Miss. Not exactly equal pay based on merit. Another example of an unjust pay disparity takes place, ironically, at the University of Connecticut. Geno Auriemma, the greatest women’s coach in the history of the sport, earns around $2 million per year. His counterpart on the men’s side, Kevin Ollie, makes a full $1 million more than him. Ollie is making that amount based on his team’s 2014 national championship. That run, however, was fueled by star point guard Shabazz Napier; without him, the team likely would have been bounced in the first weekend of the tournament. Sure, that’s fair. Actually, it’s completely inexplicable. That being said, should you be interested in the Women’s Final Four, even if you and everyone else watching probably know the final outcome? Yes, you should. While the Huskies have been the predominant team in women’s college basketball over the last two decades, teams like this year’s squad don’t come around very often. Geno Auriemma’s team is a special group, one of the best in the history of the sport. So yes, there is plenty of intrigue to the Women’s Final Four, even if the outcome is inevitable. But how can the women’s game avoid lopsided seasons like this one in the future? Even though there is nothing the NCAA can (or should) do about competitive balance, the other major schools in the sport can do something very easy and simple: invest time and money in their programs. It really isn’t that difficult, but few schools actually do this. Other than Auriemma, only four other women’s coaches make more than $1 million per year. If more universities invested money in their coaches, the likes of UConn would face stiffer competition and parity in women’s college basketball would greatly improve. But the chances of this happening are very slim. The sad part is that aside from UConn, the Women’s Final Four is very balanced with a 2-seed (Oregon State), a 4-seed (Syracuse), and a 7-seed (Washington). If there were no dominant team, this Final Four would have the potential to be as interesting, if not more so, than its men’s counterpart. There is a dominant team, though, and it’s UConn. Which is okay. But that there isn’t anyone to get in the way shouldn’t be; it’s up to 348 Division I programs to change that. In the meantime, let’s lay off the Huskies for being so amazingly good. Actually, let’s give them the appreciation they deserve as one of the best college basketball teams ever. North Carolina can’t shoot. North Carolina can’t pull away on the scoreboard. North Carolina can’t dominate. North Carolina can’t win a national championship. These and other comments were made by myself and many others in the buildup to this year’s tournament. Sure, the Tar Heels are extremely talented, but could they put everything together and make a deep run this month? Many people, including yours truly, said the answer would be no. In actuality, we got our answer last night, and it’s an absolute and definitive yes. Going into the Sweet 16, the most-anticipated matchup had to have been the Tar Heels against the Hoosiers of Indiana. It looked as if Indiana’s three-point shooting and ability to run the floor would make the game close; as it turned out, North Carolina’s ability to do both of these things is what would make the contest a blowout. After dropping a cool 101 points on the Hoosiers, Carolina will face ACC foe Notre Dame on Sunday night for a chance to go to the Final Four. But why in the world are the Tar Heels playing their best basketball of the season at the best possible time? What changed from the regular season? Truthfully, not a lot changed. What did change was our perception of the Tar Heels and their ability to play with any team in the country. What also changed was the play of senior point guard Marcus Paige. Paige followed an extremely impressive sophomore season with disappointing seasons in his junior and senior years. This season, in fact, may have been the worst of his four-year college career; his shooting percentages and scoring numbers regressed to freshman year levels. His senior campaign became one mega-sized shooting slump, and he would need to seriously turn things around if the Tar Heels were to be a serious national championship contender. And turn things around he would. After shooting just 34.6% from deep in the regular season and 6 for 19 in the ACC Tournament, the senior has reversed course and shot 11 for 21 in the Tar Heels’ three NCAA Tournament games. He started the Indiana game by making his first four shots within the first five minutes…. and all of them were from deep. His reversal of course has keyed North Carolina’s success in the tournament, but the team still has its work cut out for it to win a championship, even with Paige playing like this. To start, the Heels will have to contend with the Fighting Irish of Notre Dame in the Elite 8. Even though the Irish have had a relatively easy road to this point with wins over 11-seed Michigan, 14-seed Stephen F. Austin and 7-seed Wisconsin, they have shown resolve, toughness, and tenacity in these three wins. After that game, the Irish were forced to contend with the Badgers of Wisconsin. A late Vitto Brown three would give the Badgers a three-point lead; that shot would be quickly followed by a layup by Notre Dame’s star point guard, Demetrius Jackson. Subsequently, the Irish would get a steal and another layup from Jackson, jump-starting an 8-0 run over the span of fewer than 20 seconds. The game ended on that note and Notre Dame advanced to the Elite 8. However, the Heels match up very well with the Irish. The teams played once in the regular season, which resulted in an 80-76 Notre Dame home win. With all due respect to the regular season, that game can be effectively thrown out the window now; the one meeting that was important between the two squads was their ACC Tournament semifinal game. North Carolina won that contest by 31, and there were times in that game when it wasn’t even that close. The main thing to watch in this contest will be the effectiveness of Notre Dame center Zach Auguste against the front line of North Carolina. If Auguste can be effective and cause havoc on the glass, the Irish will have a chance. If Carolina’s front line of Brice Johnson, Kennedy Meeks and Isaiah Hicks can control Auguste inside, it could, and probably will, spell doom for Notre Dame. Either way, that matchup will likely be the main determiner of this game. If the Tar Heels are lucky enough to beat the Irish, they would play either Syracuse or Virginia in the Final Four. Carolina beat Virginia to take the ACC Tournament but lost to the Cavaliers in late February. On the other hand, Roy Williams’ team beat the Orange of Syracuse both times the teams played in the regular season. This also means we’re 2 wins away from the Academic Fraud semifinal between UNC & Syracuse. The NCAA would just LOVE that game. Still, North Carolina would match up well with the Orange; the problem Syracuse presents is its famous 2-3 Zone, which has held teams to just 53.6 points per game in the NCAA Tournament. Virginia, on the other hand, would attempt to beat Carolina by slowing down the pace. If the Tar Heels can play their up-and-down style of play, their chances of beating the Cavaliers are exponentially better. But those are hypothetical matchups. North Carolina can beat any one of the seven teams left in the tournament because they can win in so many different ways. They have found an extra gear this month, finding its outside stroke in the second season. This ability to shoot the deep ball also helps Carolina’s big men indirectly, giving them more room to operate in the paint and control the boards. This is why North Carolina is the most dangerous team remaining in the NCAA Tournament. There are times when they aren’t clicking and very beatable, but they haven’t had many of those times in this tournament. If they continue their virtually flawless recent play, they’ll be cutting down the nets after the national title game in Houston. So come on and raise up, Carolina fans; this one’s for you. With this post, we will both continue and complete our preview of the 2016 NCAA Tournament by looking at the Midwest Region, located in the bottom right of the bracket. As always, I’ll break up the first-round predictions into the usual four categories: no-brainers, problematic picks, judgment calls, and upsets. So here it is, the final NCAA Tournament preview: the Midwest Region. Simply put, there’s nothing in this matchup that screams, or even suggests, upset. The Spartans are quite possibly the best team in the entire field of 68 and Middle Tennessee will likely be unable to stay with their balanced attack. This is not meant to speak ill of the Purple Raiders, but Michigan State will be simply too good for them in this one. That’s it. This region, for me, has striking similarities to the East Region in that there is a lot of unpredictability, particularly in the early rounds. However, I picked few upsets in either one. There’s a reason the Trojans of Arkansas-Little Rock went 29-4 in the regular season. They allow under 60 points per game, make few mistakes, and perform very well when their best is required. Those qualities, though, will be pushed to the limit against a Purdue team that possesses the scariest front line of any team in the tournament (Caleb Swanigan, Isaac Haas, A.J. Hammons). 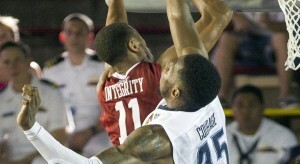 Arkansas-Litte Rock will have to win this the only way they know how; with defense and intelligence. They can absolutely do it, but it won’t be easy. Give me the Boilermakers in a close one. Seton Hall is the hottest team in college basketball; they also happen to be playing their best basketball at the best possible time. They also happen to be playing Gonzaga in the first round. It’s March, it’s the Zags, and it’s going to be a problematic game for the Pirates to navigate. Star point guard Isaiah Whitehead should help them do it, but don’t expect this to be a cakewalk by any stretch of the imagination. While it won’t take an Act of God for Hampton to have success this time around, they will have to dominate the glass and shoot well to win. The first part will happen; the second is iffy because of the team’s inability to sink threes (30% on the season). I’ll take Virginia, but this could be the year that a 16-seed finally takes down a one-seed. Butler’s ability to score should put them over the top in this one. However, be wary of a Texas Tech team that is versatile and has taken down the likes of Baylor, Oklahoma, and Iowa State this season. This being said, have confidence the Bulldogs of Butler; just don’t be completely stunned if the Red Raiders are able to pull it out. The fact that this is one of my judgment calls should show you just how much I think of the Gaels, but particularly how much I think of A.J. English. English is the only player in Division I to attain 20 points, five rebounds and five assists per game this season. If the Gaels are going to take down the well-rounded Cyclones of Iowa State, they’ll need another 20-5-5 performance from English. Don’t be surprised if they get it, and don’t be surprised if they win the game, either. This one truly could go both ways. The way I took was that of the Cyclones. Flip a coin. Choose the winners based on colors. Do what you have to do to get this one right, but please don’t pretend like you know which way it’s going. Dayton was one of the best, least heralded teams in the nation until February, when losses to St. Joe’s (twice), St. Bonaventure, and Rhode Island derailed any chance the Flyers had at a top-four or top-five seed in the big dance. The Orange of Syracuse, on the other hand, probably shouldn’t be in the tournament at all. At 19-13 and painfully mediocre (9th in the ACC), any chance Syracuse had at going to the field of 68 probably lied in the First Four in Dayton. However, they’ve been put here, and they match up fairly evenly with the Flyers. Both teams have solid defenses, and Syracuse’s is fueled by coach Jim Boeheim’s famed 2-3 Zone. Whichever team handles the on-ball pressure and trapping of both defenses will probably win the game. But your guess is as good as mine as to which team that will actually be. Fresno State enters the tournament hot, having won their last nine games en route to a Mountain West Conference championship. Utah, on the other hand, didn’t do so well in its conference title game, losing by 31 to Oregon and blowing a chance at winning the Pac-12. The battle on the boards will dictate this one, as Fresno State has a slight advantage in rebounding. The Bulldogs also play very smartly with the basketball, averaging a mere 10.7 giveaways per contest. If the Bulldogs play within themselves and out-rebound the Utes, the three seed in the Midwest could be taking an early exit. I think Fresno State can and will send Utah to that early exit in this one. Hampton matches up with Virginia better than Butler does. That should tell you all you need to know about this one. Butler’s pace will be wrecked by the Cavalier defense, making it difficult for them to score and operate. Virginia wins this one effortlessly. This one also features a battle of conflicting styles. While Iowa State likes to play a fast pace and utilize their guards to facilitate the offense, Purdue uses their harrowing front line to produce buckets. I like Purdue and their physicality in this one over the Cyclones and their guard play. The Bulldogs of Fresno State will be unable to keep up their recent level of play long enough to reach the Sweet 16. Seton Hall rolls in this one and advances to the second weekend. The guard battle of Denzel Valentine and Scoochie Smith (the best name in the field) will be the most interesting part of this game. Other than that, this one is straightforward; a fairly easy win for Sparty and a trip to the Sweet 16. The reason why I like Purdue in this game is because of their versatility and their ability to win in many different ways. They can beat you scoring 90 or 60; that’s how talented they are. I’ll also take Purdue in this one because they can absolutely dominate the glass on both ends, something that the Cavaliers do not always handle very well. The pick here is Purdue and the Boilermakers advance to the Elite 8. This is quite possibly the most intriguing potential matchup in the entire Midwest Region; Seton Hall and their superstar underclassmen against the experience and versatility of Michigan State. If Whitehead and the Pirates can push the pace for easy points and put the Spartans on their heels, we’ll be in for a good one. If not, the Spartans should be able to win this game. Either way, one thing is sure: this one is going to be fun and if it does come to pass, we’ll enjoy it greatly. Purdue’s magical run ends in the Elite 8 as Michigan State goes to the Final Four in back-to-back years. 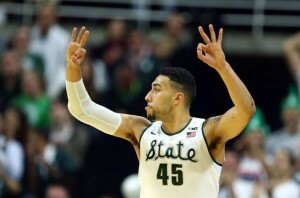 The Spartans will beat the Boilermakers with their speed and ability to score in transition. This matchup is worrisome for them, though; they don’t have a go-to scoring big man and putting up points against the Purdue front line will be a daunting task. However, I’ll count on Michigan State to score enough to win and represent the Midwest Region in Houston. Our preview of the NCAA Tournament continues with the top right region of the bracket, the East. So, now that the matchups are out of the way, let’s get on with our preview of the East Region. While the Mocs of Chattanooga dominated the SoCon all season and will come into the Tournament ready to take down a major-conference foe, the Hoosiers of Indiana are one of the most underrated teams in the field. They shot just over 50% from the field…. on the season. Indiana, as well as the Big Ten as a whole, has gone vastly disrespected this March. Look out for the Hoosiers, not just in this game, but beyond. Let’s get to the fun stuff…. Yes, a 16 could beat a 1 this year. I know it’s never happened before and it’s still unlikely to occur, but the Eagles are one of the few teams in the Tournament that can stay with Carolina on the boards. We’ve seen the Tar Heels dominate the game but not the scoreboard before, so this could be a close one. However, North Carolina’s obvious advantages are ball distribution and experience. Also, in honor of #FreeThrowAwarenessMonth, the Eagles shoot a paltry 64.5% from the charity stripe. If they need to make free throws to win the game, they probably won’t be able to. Carolina escapes. The havoc of West Virginia’s full-court press defense should win out over the ball distribution and flawless execution of the Lumberjacks. However, the Mountaineers have gone through shooting slumps over the course of the season, and Stephen F. Austin could capitalize on these struggles if they occur. If West Virginia can force the Lumberjacks into turnovers and out of their game, this should be an easy win. Against a team with tournament experience like the Lumberjacks, though, the task won’t be easy. Xavier should beat Weber State easily. But if the Wildcats can control the defensive glass like they are capable of, they can make a game out of this one. Also, Xavier uses over four more possessions per game than Weber State, which will be another point of emphasis in this one. I’ll take the Musketeers, but don’t rule out entirely the possibility of a close game here. I would probably take Michigan to beat Notre Dame in this game. The only reason I did not pick the winner of the play-in game to take down the Irish here is because the thought of Tulsa playing Notre Dame was too daunting for me to have unequivocal confidence in taking the upset. If the Golden Hurricane were to pull an upset of their own right over the Wolverines, I wouldn’t want to have to trust Tulsa to beat Notre Dame. That’s the only reason I have the Irish winning. I don’t like their prospects of a deep run and I don’t think they’ll make one. I don’t have confidence in them winning their first round game, either. This isn’t necessarily an “upset”; Pittsburgh has one of the most underrated point guards in the country in James Robinson and Wisconsin is not the team it has been the last two seasons. However, the Badgers’ experience could play a role in this game, as they’ve only made the tournament in each of the past eighteen seasons. I do like Pittsburgh in this one because of their guard play and ability to score, but don’t be surprised if this goes in the other direction, either. This game really could go either way. The Friars boast one of the best guard-forward combinations in the tournament in the form of Kris Dunn and Ben Bentil while the Trojans can light it up from downtown. USC is also one of the streakiest teams in the field, making this one all the more difficult to handicap. In the words of Clark Kellogg, I’ll take the Trojans’ spurtability and ability to heat up quickly. Hear me out on this one: the Seawolves are a very dangerous squad that matches up perfectly with Kentucky in this game. Jameel Warney, three-time America East Conference Player of the Year, can cause havoc inside for the Kentucky big men. Also, Stony Brook distributes and shoots the ball better from downtown than do the Wildcats, so maybe this shouldn’t be regarded as such of a mismatch after all. If the Seawolves can win the rebound battle and make their threes, it could spell doom for Kentucky. My bet is that it will. The rest of this post will be dedicated to the rest of my predictions for this region. This one is fairly simple; while the Trojans can absolutely make this a game, the Tar Heels’ ability to dominate the offensive glass will knock Andy Enfield’s team out of the dance. This one will be closer than expected, though. Business will be booming for Indiana in this game. The strong play of star point guard Yogi Ferrell will continue and the Hoosiers should easily outshoot the Seawolves in this one. Expect an Indiana win but don’t expect it to be close. I said it before; I just don’t like the Irish. It’s nothing personal but I don’t see them causing any trouble in this region of the bracket. West Virginia should win this one with ease and while the Irish could make it close, don’t hold your breath waiting for it to happen. This is the game that most intrigues me in the second round of this region. The battle of point guards James Robinson (Pittsburgh) and Edmond Sumner (Xavier) will be the one to watch in this game as this matchup will dictate affairs. If Robinson can have his way, the Panthers may pull a shocker, but if Sumner wins this contest, the Musketeers should win going away. Look out for the Panthers in this one. While North Carolina won the ACC title with a gritty win in their conference title game over Virginia, they’re still vulnerable. For example, in their two games against the Duke Blue Devils, the Heels out-rebounded Duke by a combined 110 to 63. Their point margin in these two games? +3, including a 74-73 loss on February 17. Mentally tough, they are. Capable of going all the way and winning a title? They are. Predicted to get out of the Sweet 16 in my bracket, they are not. Indiana pulls the upset and moves on to the Regional Final. This is also a fascinating matchup. While Xavier boasts lots of individual talent and can win in many different ways, West Virginia and head coach Bob Huggins feel as though their ten-man rotation is as good as any in America. They may be right, but I like the Musketeers to take another win here because they should be able to win the rebound, assist, and three-point battles. Speeding up the tempo won’t be enough against Sumner and Xavier; therefore, I’ll throw up the X and put the Musketeers in my East Regional Final. This game is absolutely fascinating, another one that will come down to the battle of the guards. Sumner vs. Ferrell will dictate this one, and even though I picked Xavier, I wouldn’t be surprised if the Hoosiers win this one and go to Houston. This is my personal favorite Elite 8 matchup of the four that I have, and even though I have no rooting interest in this game, I’d be thrilled if it came to fruition. It’s a real shame that one team had to lose, but I picked Indiana to be that team. X gives it to me and advances to the Final Four. 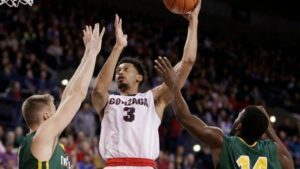 We continue our preview of the NCAA Tournament with the West Region, the one that could very well be the least predictable. In this region, anything truly can happen and there will be a multitude of upsets. WARNING: You may want to be sitting down for this. Some of what you are about to see will be absolutely stunning. I will freely admit that this is the region I do not have much of a grasp on, but I’ll try my best to predict the games for this group. Unlike yesterday’s preview, this region’s first round games will be broken up into three categories: no-brainers, problematic picks, and everyone’s favorite, upsets. This region requires absolute decisiveness and confidence in one’s picks, so there are no judgment calls. Here goes. Even though Oregon is the weakest one seed in this year’s tournament, they are still a one seed and benefit from the fact that Holy Cross and Southern are battling in a play-in game. While Oregon is a deeply flawed team for one that is seeded so highly, they’ll obviously get past this game. Also, Holy Cross was 10-19 in the regular season. Southern was 19-12, but neither team can take down the Ducks here. This game actually wouldn’t be a no-brainer if Cal State Bakersfield was better at three-point shooting. However, it’ll be hard for the Roadrunners to pull it out if they continue to shoot around their 34% clip from deep against a Sooner team that’s third in the tournament in shooting from behind the arc. Other than this, the battle between these two teams is actually kind of even. Both teams’ rebounding and assist numbers are strikingly similar, and the Sooners are actually more prone to turnovers than Cal State Bakersfield. It will still take a miracle, though, for the Roadrunners to get by Oklahoma in this first round matchup. I’ve got the Sooners, and confidently. Now that that’s over and done with, we’ll get on to the next section…. 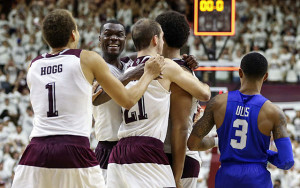 Texas A&M is one of the best teams in the West Region and the NCAA Tournament as a whole. That being said, their matchup with the Phoenix is an intriguing one. For one thing, Green Bay plays the fastest pace of any team in the tournament (79.6 possessions per game) while Texas A&M plays one of the slowest (70.5 possessions per game). This game, like the Miami-Buffalo game in the South, is going to be all about the tempo: slow and it goes to the Aggies, fast and it probably goes to the Phoenix. While I went with Buffalo in that game, I like Texas A&M in this game because of their distribution of the ball and their physicality. Look out for Green Bay in this one, though. The Hawks of Saint Joseph’s provide matchup problems while the Bearcats of Cincinnati provide tenacious defense and all-world toughness. What gives? This game is as close to a toss-up as it gets. However, my pick is the Bearcats because this is basically an even matchup in all of the areas that matter except for one: defense. Cincinnati’s defense allows the tenth-least points per game of any team in the country, and while they have struggled at times this season, their defense always translates to the tournament. They should get out of this game, but don’t be stunned if the Hawks win this one, either. While this is a minor upset, the Rams are one of the underseeded teams this March. On the other hand, Oregon State is overseeded and likely undeserving of being on the seven line. VCU, after back-to-back overtime losses in the tournament, can knock Oregon State around in the rebounding department; while I may overemphasize this, it is absolutely critical to win the rebound battle come postseason time. Every other area of this matchup is fairly even, so this game should be fairly close. However, look for the Rams to pull the minor upset here. Wes Washpun hit the shot at the buzzer to go to the tournament, and the Panthers have since been thought of as one of the more dangerous mid-major teams in the dance. I can’t disagree with this, and even though the Panthers don’t fit the profile of a giant killer, their defense and experience play into their favor against the Longhorns. This is the NCAA Tournament and Texas is coached by Shaka Smart, but it’s hard not to like Northern Iowa here. It’s about to get really real, so buckle up…. Yale is a very solid rebounding team and defensive team as well. While Baylor comes in as one of the more underrated teams in the tournament, this is a difficult matchup for them because of how Yale crashes the offensive glass. The Bulldogs are one of the teams that can counter Baylor’s rebound animal and part-time tight end, Rico Gathers, and assuming Yale can keep him contained, they should win this game. And, considering how often they’ll be in this post, they had better. While Duke’s strength is shooting from behind the arc, UNC-Wilmington’s strength is their three-point defense and their small-ball lineup. While the Seahawks start four guards and one center, this lineup matches up perfectly against a Duke team that only utilizes six players. This upset only makes sense from the standpoint that Duke may run out of gas because of their lack of depth. 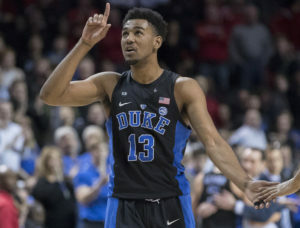 If the Blue Devils are fortunate enough to win this game, can they beat Baylor or Yale with only six or seven players? It will be difficult, which is why I like the Seahawks with this pick. It’s been four years since all four one seeds made the Sweet 16 of the NCAA Tournament. If you’re using that logic, then you’re definitely picking Oregon or some other one seed to lose here because you don’t think all four one seeds will make it. I’ll use the logic that I really like this Cincinnati team and their ferocious defense over the Ducks. This is, in part, a pick made by default. However, Yale’s ability to pound the glass and their perpetual advantage in the rebound margin gives them the edge here. I’ll put Yale in the Sweet 16. Can they beat Cincinnati and go all the way to the Elite 8? I feel good about the Aggies to take down Northern Iowa here. While this has been a magical ride for the Panthers and they will absolutely give Texas A&M a game, I think the physicality and the scoring ability of the Aggies eventually wins out. This one isn’t all that difficult. Oklahoma is one of the best shooting teams in the country, and while VCU is a good defensive squad, they’ll be unable to stay with the Sooners on the other end. Yale has done it! According to me, they’ll be only the second team in NCAA Tournament history (Missouri in 2002) to make the Elite 8. It will be very difficult for this to happen, but the Bulldogs’ small ball and ability to win the rebound battle will make the difference here. I don’t have Yale in the Elite 8 because I think they’re that good; I think they’re good enough to win one game against a great team. The stars aligned, however, and Yale got this far. How much farther can they go? While I love Oklahoma’s shooting ability, I don’t think they can withstand the physicality of Texas A&M. Jump shooting teams, unlike in the NBA, do not tend to fare overly well in March Madness; Oklahoma relies on the jump shot too much for them to beat the Aggies. This will be the best matchup in the entire region, and there are all sorts of intriguing battles within the game. This is the main question: can the Aggies contain Wooden Award Winner-to-be Buddy Hield enough to make other players like Isaiah Cousins, Ryan Spangler, and others contribute more than they are used to? My gut says yes; the Aggies have the 31st best scoring defense in the country and size at the guard spots in Jalen Jones, Alex Caruso, and Danuel House. This size should, at least in part, slow down the Sooner offense. They won’t be stopped, but the Aggies will contain the high-powered attack enough to win. This is where the Cinderella run finally ends for the Yalies. This clearly weak region will be claimed by Texas A&M as their defense and size win out over the Bulldogs. While it was a great run for Yale, the Aggies will come out of this region and represent it at the Final Four in Houston. NOTE: post was published before Holy Cross’ defeat of Southern in the First Four. If you think that there won’t be madness this March, I would politely disagree with you. The field is wide open. The teams are almost inseparable. And the action is going to be gripping. I filled out my bracket Sunday night; I’ll reveal my picks for each game in the South Region here along with explanations for each one. I’m going to sort the preview into three categories: no-brainers, upsets, judgment calls, and problematic picks.  This is my official preview for the South Region of the NCAA Tournament. 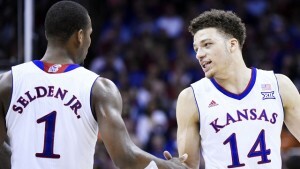 But, more than anything, Kansas has established itself as the team to beat in the bracket. They’re deep, well-rounded, and do almost everything well. The Governors of Austin Peay, on the other hand, probably should have gone to a play-in game in Dayton. They aren’t, and while they could have given a lower-end one seed a semi-competitive game, this isn’t a lower-end one seed. There won’t be a mercy rule in this game; there might as well be. Villanova’s disappointments in past NCAA Tournaments will likely follow them into this one as well. These letdowns will leave them alone in the first round, though, as the Wildcats and their top-20 defense should easily overwhelm the Bulldogs. While UNC-Asheville could stay with the Wildcats on the glass, there won’t be a 15-2 upset in this region. On the surface, this one shouldn’t look problematic; the Terrapins are playing as well as they have all season and the Jackrabbits were probably overseeded. Look closer, however, and you’ll find that even though the Terps blow South Dakota State away on paper, the play on the court may tell a different story. Maryland is, quite simply, the most maddening team in college basketball. When they’re good, they can beat anyone in the country. When they’re bad, it’s ugly. The team’s bad was back-to-back losses to Wisconsin and Maryland in February, a loss to Michigan in January and countless other close wins. If Maryland struggles, look out for a Jackrabbit team that can pound Maryland on the glass. The Rainbow Warriors won’t be in the dance next year because of NCAA violations committed by a former assistant; none of the violations involved any players on next year’s team, but whatever. California should win this game, but it’ll be close. Hawaii is a top-40 team in assists and averages a full three more helpers per game than the Golden Bears. California should be able to bang the Rainbow Warriors (that’s an amazing team name) around on the glass, but will the Golden Bears be a deer in the NCAA Tournament headlights? Time will tell, but it’s definitely possible that this could happen. If it does, California will be out very early. I have almost no opinion of this game. Iowa can stroke it from downtown (over 38%) but has lost six of its last eight games to head into the Tournament as the coldest team in college basketball. Temple was a bubble team that hangs its hat on its defense and is tied for first in the nation in turnovers per game (9.2). This could really go either way, but I took the better perimeter and passing team in the Hawkeyes. This one is a true flip of a coin. I like the Buffs and their physicality over the guard play and never-say-die nature of the Huskies. This one will come down to the battle on the glass: if the Huskies can hold their own, then they’ll probably be the ones to take on Kansas in a second round matchup. If Colorado has its way (meaning: knocks around UConn), then it’s game over for Kevin Ollie’s team. Yes, the play-in game and the uncertainty of who will come out of it can absolutely be off-putting when trying to pick an upset in your bracket. That being said, I truly believe either one of these teams can and would beat Arizona in a first round game. Wichita State, on one hand, has the best defense in the country, takes care of the ball, and has major tournament experience in senior guards Fred VanVleet and Ron Baker, or, as Aaron Harrison refers to him, the bad, bad boy. Vanderbilt, on the other hand, is one of the few teams in the tournament that can match the Wildcats’ rebounding physicality. Arizona is a young, albeit experienced, squad. But beating either one of these teams will be a very tall task. Buffalo’s biggest weakness as a team is their three-point shooting; that being said, they’re getting hot at the right time, having shot almost 44% from deep in their conference tournament. And, to boot, they match up really well with this Miami team. The Hurricanes, even will all their experience, could get hammered on the glass and on the break. As a team that only uses 68 possessions per game, Miami will have to dictate the tempo to a Bulls team that uses almost 75 possessions per game. The pace will dictate the game; if it’s slow, Miami wins. If it’s fast, Buffalo wins (probably). I’ll take the chance that the pace is fast and pick the Bulls to shake up the South Region. Now that we’re out of the first round, I’ll provide shorter explanations for each of the projected matchups. My reasoning for this is that if my bracket history is any indication, few if none of these matchups will actually happen. The Buffaloes and their size hang around for most of this one but the Jayhawks pull away late on the strength of their guards. Likely the most interesting first-weekend matchup in the South, I’ll take the experience of Maryland over the rebounding, raw talent, and youth of the Golden Bears. The winner of the Vanderbilt/Wichita State game plays the role of 2014 Tennessee and 2015 UCLA as 11 seeds to beat 14 seeds. Don’t count Buffalo out of this one, either. Iowa doesn’t last very long after their win over Temple. Nova takes this, and by a pretty wide margin, too. Maryland has the ability and the guard play to win this one. This should be one of the best games this region has to offer if it comes to fruition. The main matchup to watch would have to be Maryland guard Melo Trimble against Kansas guard Frank Mason III. If Trimble and Duke transfer Rasheed Sulaimon win the guard battle over Mason, Wayne Selden, and Devonte’ Graham, the Terps could play spoiler. If not, it’ll be another win for the Jayhawks. This is where the run ends for the winner of the Vanderbilt-Wichita State play-in game. This does not necessarily mean that Villanova is an Elite 8-caliber team; all it means is that the rest of the region isn’t that good outside of Kansas. But let’s stop raining on the Wildcats’ parade as they advance to the Elite 8. This one really isn’t all that hard. The Jayhawks are already one of the best teams in the country and, frankly, they got an easy draw in the South Region. Kansas will take care of business against Nova to cut down the nets and go to Houston to play in the Final Four. NOTE: post was published before Wichita State’s defeat of Vanderbilt in the First Four.